How to custom color for new modern theme layout? We want to bring more profit to our customer by continue to update our theme with more Demo layouts for the client can apply for their business. What you can do with Style #1 and #2? You can not mixed Style #1 and Style #2 in one site for now because of the different style. You can use our new Style #2 for your new site by use with your data in Style #1 for apply to #2. You can mix Hotel and Tour from new Style #2 in one site with Hotel, Room and Tour services. What will next update in next time? We will continue to update new layout for all other services like Activity, Rental, Car, Flight then you can use a new style with your all old data ( move from Style 1 to Style 2 for all services layouts ). Hope this makes you clearly how to use with new style #2 and with style #1 with our update. How to apply new demo layouts ( Tomap, Homap )? 1. For the clients who only want to add a new layout to the site. From the admin, go to Traveler Settings > Install Demo >> Click on Install button on “Hotel“, “Tour” or “Activity” demo. 2. How to use new layouts for the clients that using the previous layout before. Step 1: Please go to “Theme Settings” -> “Styling Options” and change “Theme Style” option to “Modern” to use new layout for Hotel and Tour service. Step 2: Set up new Home page layout: Please go to Pages > Add New page. 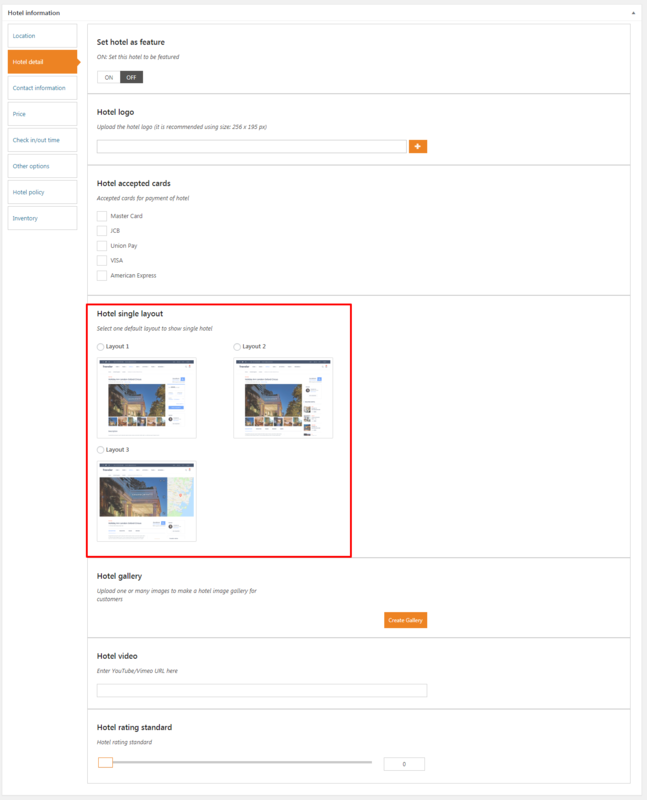 In the screenshot below you can see with Modern Layout tab, we build some Visual Composer Elements allow you can make your own layouts. You can refer this topic to set up a new hotel search result layout, this topic to set up a new tour search result layout and this topic to set up a new activity search result layout for your site.